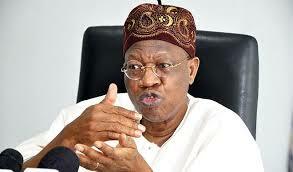 ​Minister of Information and culture, Lai Mohammed has stated that he has been vindicated with the return of President Muhammadu Buhari from London. Buhari took off from London Saturday morning to return to Nigeria after 100 days of medical abroad. Speaking on NTA while waiting for the president’s arrival at the airport, the minister said there would be celebration at the home of every Nigerian over the recovery of the president. “We’ll, to say I have been vindicated is an understatement. I am happy and I believe so is every Nigeria. There will be surely celebration in the home of every Nigeria today,” he said.